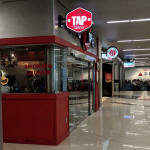 I was there on May 26th and can confirm the TAP bar at A1. And yes, purchase is required. Was there again on the 30th July 2018. It's a great option if you're willing to purchase something. Really friendly and good smoke filters. This is my new"go to" spot even if I'm not in concourse A. Last call for drinks at 9:45pm. 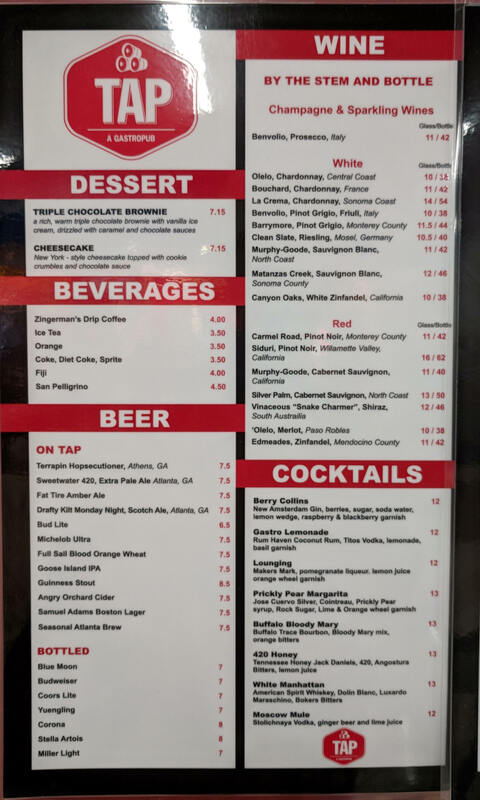 Photos of bar and menu below. Update from Tony on the 13th June 2018: Terrapin bar used to be smoking throughout but is now restricted to a small room in the back. You can no longer smoke at the bar which ruined the only good thing about it. It's now no better than all the other crappy smoking rooms throughout ATL. Can confirm smoking area near Gate A3. Feedback from Chris on the 19th January 2018. Update from Davis W. on the 6th Jan 2019: Smoking area near B23/24 is open, but zero ventilation and entire sections of benches/chairs are broken. Update from Sarah T. on the 24th July 2018, Spencer O. on the 27th and Russell on the 30th: Smoking lounge in B 7/9, appears to be closed. Sign on the door suggested to use B24. No indication if this is temporary or permanent. Gates 7 and 24 smoking rooms are still active. Feedback from Steve H. on the 11th March 2018. Just confirmed the B concourse still has a smoking area in between gates 7/9. Feedback from Spencer O. on the 8th Feb 2018. Can confirm smoking area near Gate B23. Feedback from Chris on the 19th January 2018. Concourse C Update: Gates 17 and 40. They took half of the one by Gate 17 and made it a place for dogs to pee, so this smoking room is very tiny with no ventilation. Gate 40 is much better. Feedback from Steve H. on the 11th March 2018. Update for Concourse C - 27th January 2018 - Smoking area between C17 & C21 (across from Starbucks). Feedback from Phil W.
From Lehr 9th Oct 2016: Seems two smoking lounges have been closed here, although there is still smoking areas available near Gates 16 and 26. Gate C40: Smoking lounge open next to gate C40 as of 11/29/2016, Update from Russell. 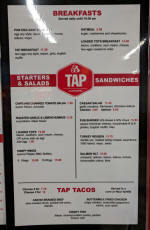 Update from David W on the 12th Jan 2019: D Concourse Terrapin Tap bar smoking room in the back corner is open early AM for breakfast. Purchase is required, but a cup of coffee counts as a purchase. UPDATE: Smoking still available in terrapin bar upstairs WITH PURCHASE. Update from Dan on the 5th June. UPDATE: Change in terrapin bar. They have now closed off the back corner for smoking. No more smoking. Update from Kevin tone the 2nd April 2018. 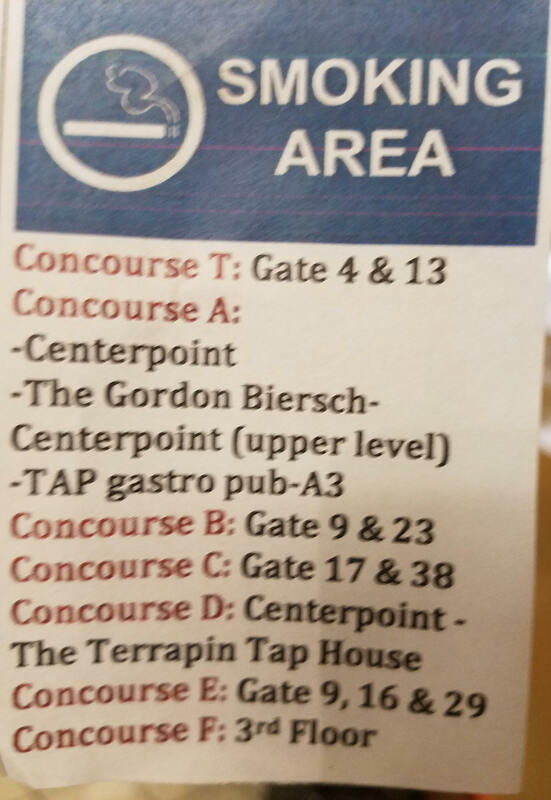 Concourse D still has Terrapin bar, were you can smoke. Feedback from Spencer O. on the 8th Feb 2018. Update from Amanda 1st January 2017: Just an update for you on smoking in Atlanta. Terminal D has smoking at the Terrapin Tapestry House. 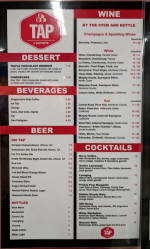 Great bar tender and good craft beers! Update from Dan on the 23rd Feb 2019: No longer smoking area near gate 9. There is one near gate 16. Hard to see. Find the coke a.cola vending sign. Smoking area is in there. Concourse E: Gates 17 and 9 smoking sections are in fact still open. (9 is easy to miss, but it's directly across from gate 9). Feedback from Jim H. on the 23rd March 2018. Concourse E: Smoking in the Blue Moon Brewhouse by Gate 29. There was a smoking room by Gate 9, it's gone now. I did not check Gate 17. Feedback from Steve H. on the 11th March 2018. Concourse T update: Smoking room by Gate 3 is active. Feedback from Steve H. on the 11th March 2018. Gates 4 and 13. Near Gate T3, there is a smoking lounge. Thanz to Jerry Z for the update.